The first center for social welfare in the Mississippi Valley region was a public school called Ursuline, which still operates today. 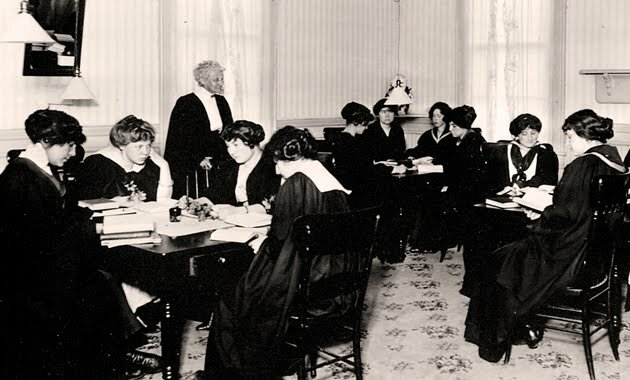 Founded in 1727 by the Sisters of the Order of Saint Ursula, the Academy was the first free school for women of color, freed slaves and native Americans in the United States. This prestigious Academy graduated the first woman to make a contribution to published literature in the United States, the first female pharmacist, and it also contained the first convent. 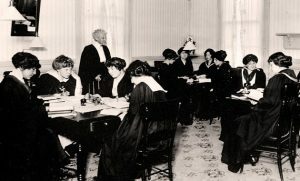 It provided a retreat for women and young ladies, and offered some basic courses as well. Tax-supported schools were catching on all across the country after people had seen what could be done in Massachusetts and elsewhere in the country. Taxes also played a very big roll, with two notable exceptions. Taxes are required to fund private institutions, but how those taxes were assessed made a difference in whether people paid. In Northampton, Massachusetts, where the population was wealthier, a universal tax to pay for public school was seen as unfavorable. By contrast, Sutton Massachusetts found revenue taxing only families with children, thereby addressing the need for education without taxing those who saw no benefit from it. Colonial women often signed their names with an “X”, which may seem strange today. This comes from what schools taught girls and boys. Boys were meant to be worldly, so they were taught to both read and right. Girls only had the requirement of reading, especially religious texts, so the “X” was used because most never knew how to write.